The Kindergartner wakes up early in the morning and starts looking for his mother. Finding her nowhere, he starts crying. In his bed, Sonu Koul gets a reassuring hug and he sleeps again. It was their neighbour, a middle-aged woman, who had literally taken his mother’s role. 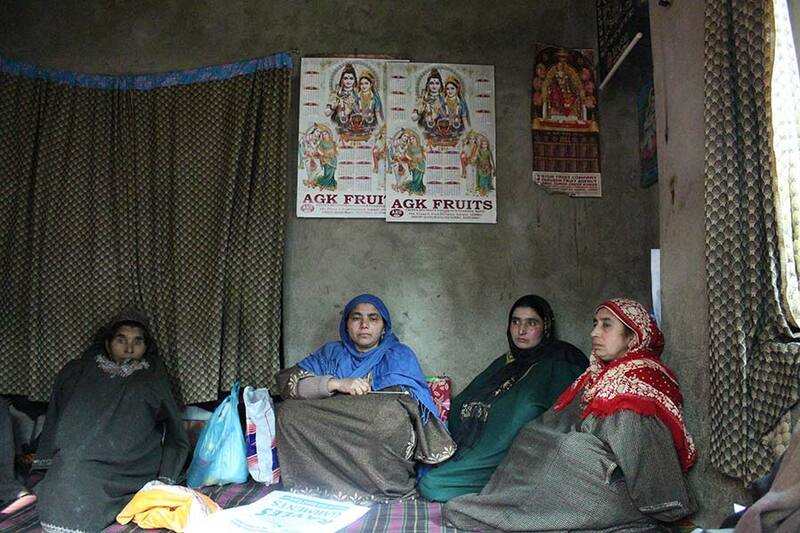 On December 23, 2017, when Kashmir grieved the death of Nancy Koul, 50, in Qazigund’s Levdoora, the locals were busy managing the shock of the four children, she left behind. Theirs was the only Kashmiri Pandit family living in the village as all others had migrated. This put a lot of responsibility on the local majority community to ensure that they take care of the four siblings at the worst crisis of their life. Their staying put in the village apart, Koul’s have suffered in recent years. In December 2016, Nancy’s husband Maharaj Krishan Koul died. He used to make and sell tea in Qazigund market. A year later, when she breathed her last, their four small children are left alone in their house with no elder to look after them. Nancy’s death was not mourned by Muslims alone. The Pandit employees living in nearby Vesu camp also joined the last rites. Her relatives living in Jammu also made a hasty arrival. There was an impression that the local Muslims had insisted that they would not allow the little orphans to move away from the village. Muslim women offering condolence to Nancy Koul. The village is shocked over the media coverage because they say what they did is just a routine. The four orphaned siblings Suraj Koul, 17, Meenakshi Koul, studying in tenth standard, Sagar, a ninth standard student and the little Sonu Koul in LKG are now reluctant to talk to media. “As these kids are mourning the death of their mother, media persons are making them uncomfortable by asking more and more questions,” said a Kashmiri Pandit, Sam Bhatt. Pandits from the neighbouring village are yet to decide with whom and where these four orphaned siblings will live now. Deepakshi Bhat, who lives in a nearby village, visits Kouls’ daily after their mother died. “Some media persons took these siblings in separate rooms, fed them some lines, recorded and left,” Bhat insisted, without mentioning even a single crew. “Some made them say that they want to live in Vessu transit camp and some made them speak that they want to live in Jammu.” The kids, she said, were confused and did not know actually what they wanted to do. “These children are yet to come out of the shock, they are mentally depressed and when they will come out of that depression, we will talk to them and will make a final decision where they will live and who will be their caretaker,” Bhat said. Pandits putting up at Vessu transit camp want the kids to shift out of the village to Jammu. 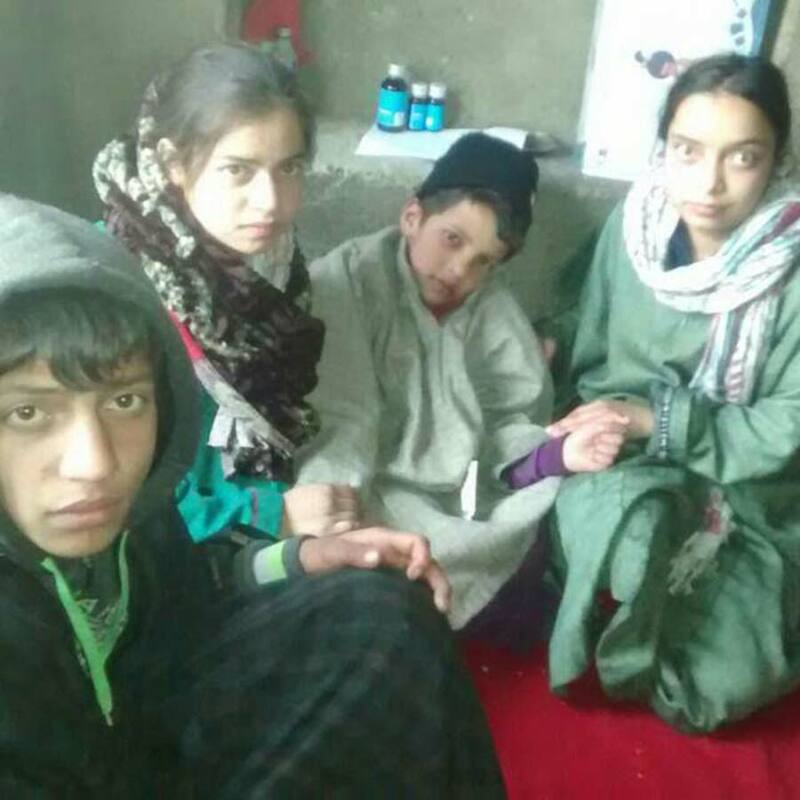 “I think it will be better if these siblings will be shifted to Jammu and will be provided with a housing facility and education there,” Dileep Kumar Koul, who is presently putting up at Vessu transit camp, said. “Jammu will be a better place for them to live in because they have relatives there who will also take care of them.” In fact, their aunt, Jigri had come from Jammu, to mourn the death of her sister. The Muslim neighbours are unconcerned over what the kids and the Pandit community will decide. They are doing, as they say, what they must do in such situations. Kouls’ Muslim neighbours are very eager to cook for these children but due to religious constraints, they are not able to do that. “Though we do not cook in their house for them and for their Hindu and Muslim guests who still come to offer their condolences, we still offer tea and food to many Muslim,” a couple of the neighbours said. Now a few Pandit boys and girls from a neighbouring village are cooking and serving the guests.